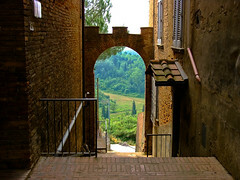 The origins of the small picturesque village of San Miniato go back to the Etruscan-Roman era. San Miniato was originally a military base. Around 783 the first small settlements arouse around the church, which is consecrated the martyr Miniato. In 962 the German emperor Otto I commanded the construction of a castle, which brought the village its nickname as the “Tuscan German Empire”. 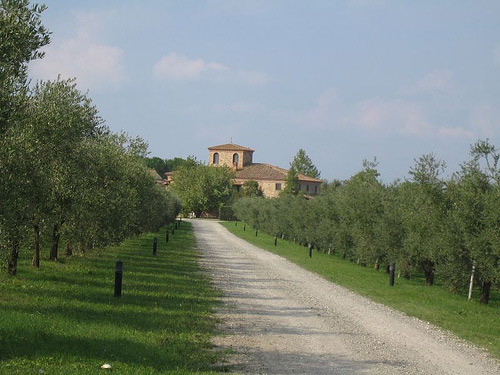 The castle became the seat of the German viceroys, who dominated from here the whole Tuscany. Among the famous personalities, who spent some of their time in this beautiful town where Barbarossa in the year 1178, Henry IV, Otto IV in 1209, and Frederick II in 1240. On his return from Pisa in 1211 St. Francis of Assisi stayed in San Miniato as well. During his stay Assisi founded the abbey, which until now bears his name. Until the conquest of Charles of Anjou San Miniato was faithful to the German empire. The inhabitants resisted successfully against the new rule, and San Miniato became a free community.In 1291 the village joined the Guelph Confederation and in 1347 it put itself under the protection of Florence, but in 1376 it began to resist the Florentine dominion. However, the countless rebellions remained unsuccessful. 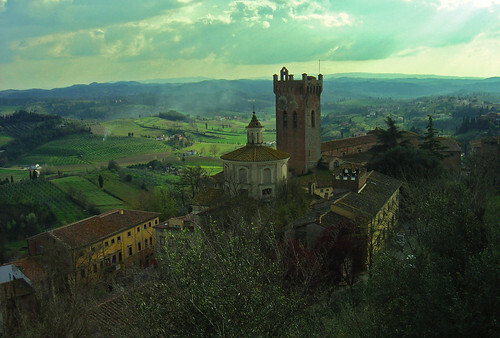 In 1622 San Miniato was declared diocesan town. In 1944 bomb attacks had destroyed important historical buildings of the town among them “Frederick’s Tower” which was rebuilt later. Like San Miniato the whole Arno and Era valley is rich in history and traditions. Our historical and cultural packages accompany you on your journey through the millennia. There is much to discover during a vacation in the Era Valley like hidden, medieval villages, castles and fortresses and last but not least magical landscapes and breathtaking views. You can find accommodation in romantic farmhouses with swimming pool. There you have the choice between comfortable holiday apartments and guest rooms.